Lawsuits were flying like snowflakes on Colorado’s Front Range Tuesday as the state’s oil and gas industry and its supporters fired back at cities that enacted fracking bans last month. 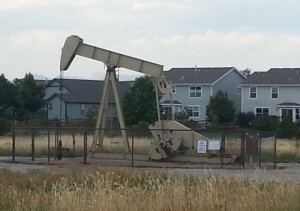 An oil rig near a Fort Collins neighborhood (David O. Williams photo). The Colorado Oil and Gas Association (COGA) on Tuesday sued both Fort Collins and Lafayette for imposing bans against the controversial drilling practice of hydraulic fracturing, or fracking, and another group sued Broomfield for how that community conducted its fracking-ban vote last month. A mandatory recount of that narrow 17-vote victory for a fracking ban in Broomfield concluded on Tuesday that the measure actually passed by a 20-vote margin — 10,361 to 10,341 — but a group called the Broomfield Balanced Energy Coalition reportedly sued the city over a lack of access for its election watchers. The city of Longmont is still defending itself against two COGA lawsuits stemming from a 2012 voter-imposed fracking ban and a ban enacted by the city council. The state of Colorado joined COGA in seeking to overturn the Longmont ban. Boulder voters also passed a fracking moratorium last month but so far the city has not been sued. Fracking-ban backers in Fort Collins blasted the industry for trying to undermine the will of voters concerned about the possible health impacts of the process, which injects water, sand and chemicals deep underground to crack open rock formations and free up more oil and gas. “This lawsuit is an attempt by industry to try to undermine democracy by suing to force a dangerous industrial activity next to homes, schools and natural areas without understanding its impact to our community,” said Kelly Giddens, president of Citizens for a Healthy Fort Collins. COGA officials say the Colorado Supreme Court has ruled that municipal fracking bans are illegal because oil and gas drilling is regulated by state law. But environmentalists and community activists counter the state isn’t doing enough to protect citizens from dangerous air emissions and contaminated drinking water, necessitating voter-imposed fracking bans. State lawmakers are once again preparing to do battle over a whole host of issues associated with the oil and gas boom underway on the state’s Front Range. Prior to the COGA lawsuits, state Rep. Mike Foote, D-Lafayette, a deputy district attorney in the Boulder County District Attorney’s office, said that the fracking-ban votes should serve as a wake-up call to the industry. “The industry should realize it is in their interest to work closely with the public rather than just running commercials with pretty landscapes in the background,” Foote said. 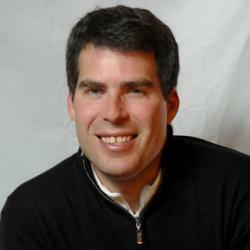 “Just because a corporation says something is safe doesn’t mean people will believe it. But Brophy says the bans should motivate the industry to do more to tout the benefits of low-cost, plentiful energy.